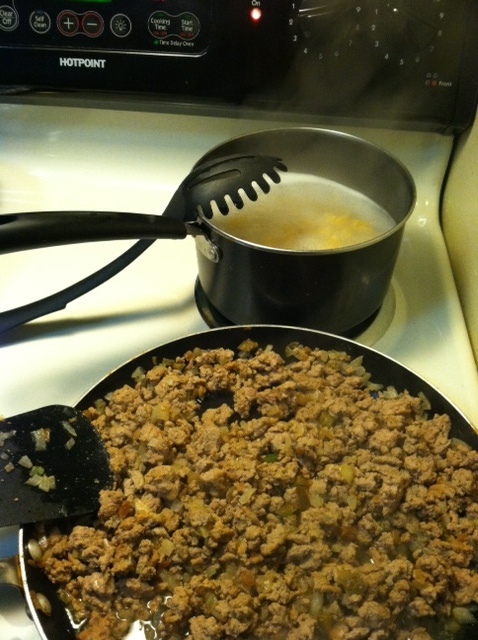 Fit for Success: Healthy Meal Idea: Goulash! 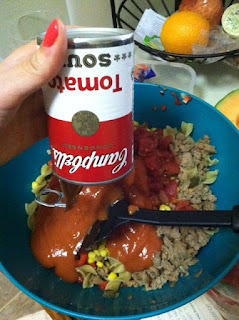 I always love new recipes, so I thought I would share one of my family's easy and delicious meals: Goulash! Now I have no clue what "goulash" means, but all you need to know is that you will want to eat it all... it is like a casserole. 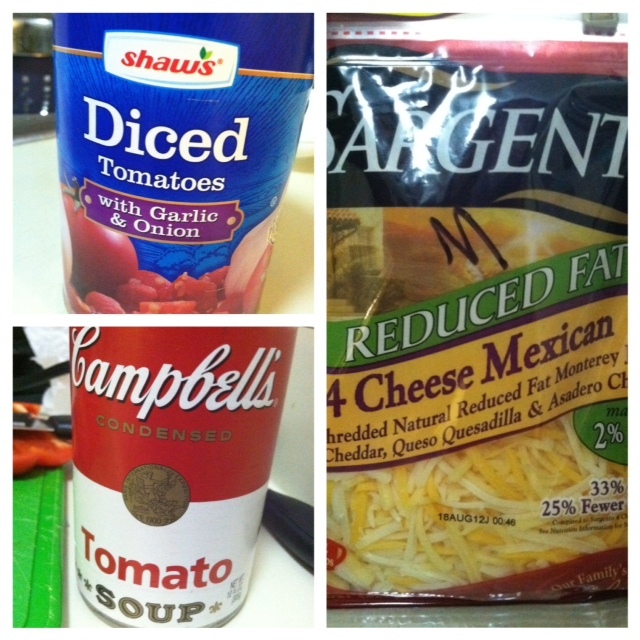 I substituted a few ingredients to make it more nutritious, and it it still scrumptious! You can put any of your favorite veggies in this, and if you aren't a fan of veggies, it's a great way to incorporate them into a meal without even noticing them! And the best part: it is SO simple to make. Toss a few cans together, turn the oven on, and you're good to go. No excuses that youre "too busy" to feed yourself or your family healthfully!!! So lets get started! 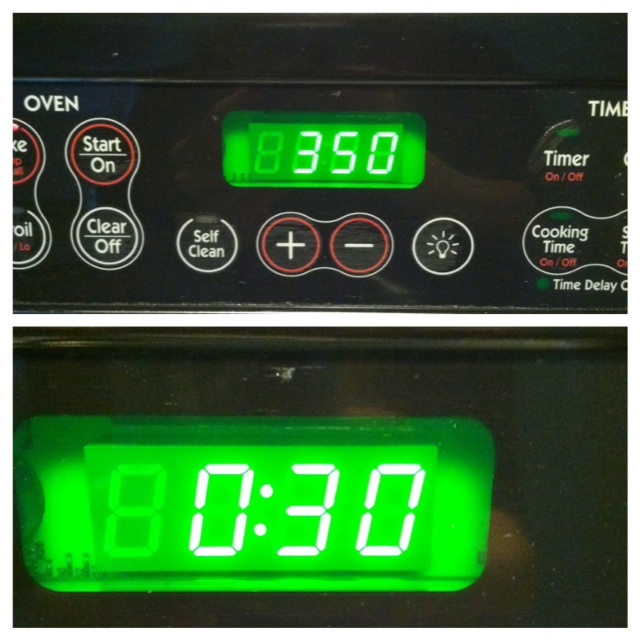 Preheat oven to 350 degrees and coat a 9x13 pan with olive oil cooking spray. Brown 1 lb. 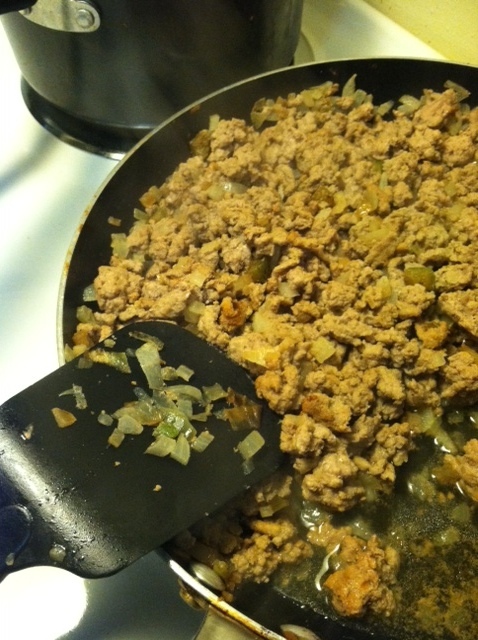 ground turkey with garlic and onion. Add any seasoning if you desire! after cooking it thoroughly, drain it! Meanwhile, dice up all of your vegetables! 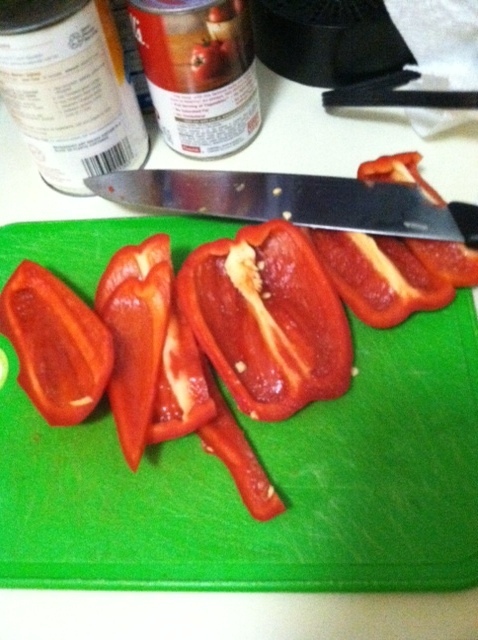 red peppers are my fav! 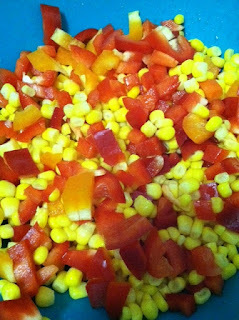 Mix your vegetables together. I find it easiest to just toss it all in a bowl! 1 can corn, drained, with a diced red pepper and orange pepper! While you are browning your turkey, don't forget to start boiling water for your egg noodles! 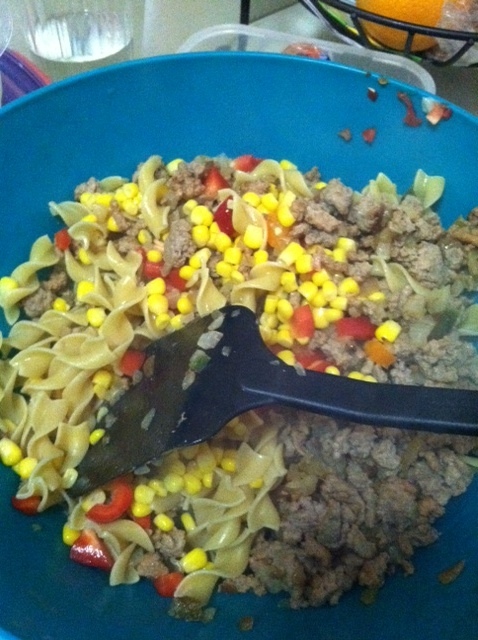 Add in your cooked turkey and drained egg noodles into the bowl! Prepare your cans..... I told you it was easy! Add in the diced tomatoes (don't drain) and soup. After mixing everything together, pour your casserole into the greased 9x13" pan. Put it in the oven for about 30 minutes, adding a sprinkle of cheese to the top for the last 10 minutes! Let it cool, and ENJOY!!! Now, of course I forgot to take a picture of the final product..... I was too excited to eat it I guess!!! Which means you will just need to make it yourself to try the delicious product. I hope you enjoy! It usually serves 4-6 people and only takes me about $15 to make when I buy everything from scratch.